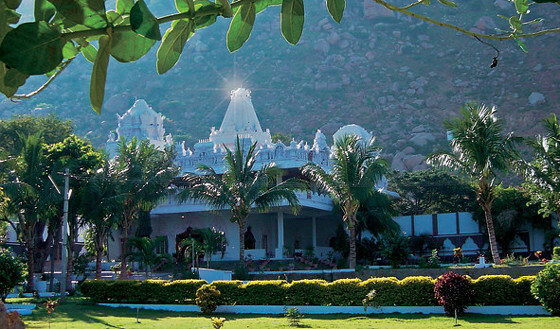 Shiva Sai Mandir is an ashram in Penukonda, India. Mandir means an Indian temple. Swami Kaleshwar established the ashram to teach about the wonderful secrets of nature, energy healing and music. Over many years we developed a special style of bhajans. Swami was a great lover of music and gave instructions to the last detail how the energy can be raised in the bhajans. These rich experiences grant our concerts a particular depth. In workshops and a multi-year training, we share our knowledge, in the desire to make this treasure of Indian love songs to the Divine accessible for everyone. “Nature music,” according to Swami, includes the unique melodies of Indian bhajans, the rhythm of the heart and the expression of the soul. Shiva Sai Mandir Music is music for the heart and soul. Songs sung in the original "Mandir" style. The songs of students and groups that Sri Kaleshwar assigned to release recordings. Recommended songs from students and friends that created music in their own unique style. Also, you can learn about the two major books that have been published so far.